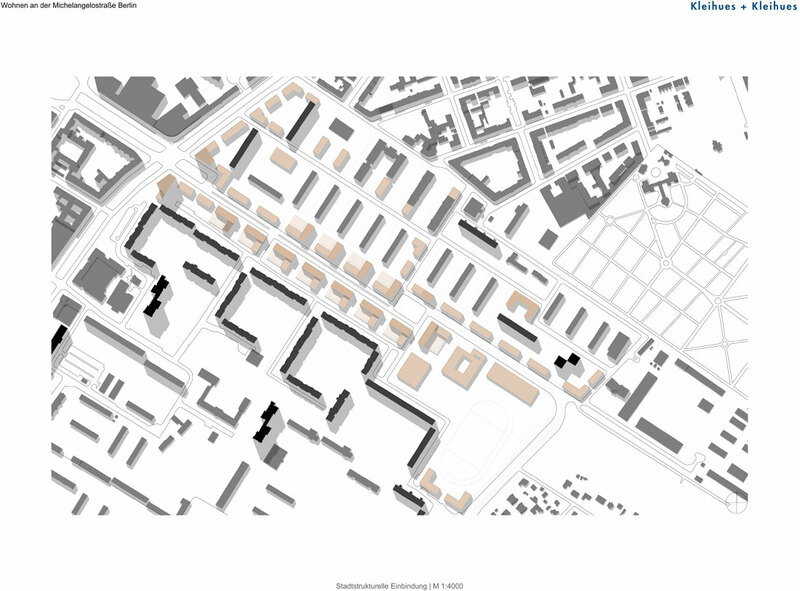 New spatial potentials are to be developed via a redensification within the existing building structures of the 1950s to the 1970s found in Michelangelo Street. 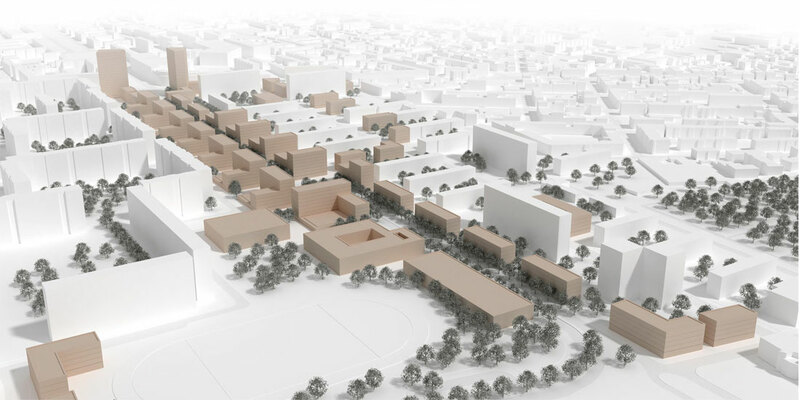 For the new district, the topic of expanding open spaces along the course of Ostseestrasse (here, for example, with Ostseeplatz) is taken up and made viable. 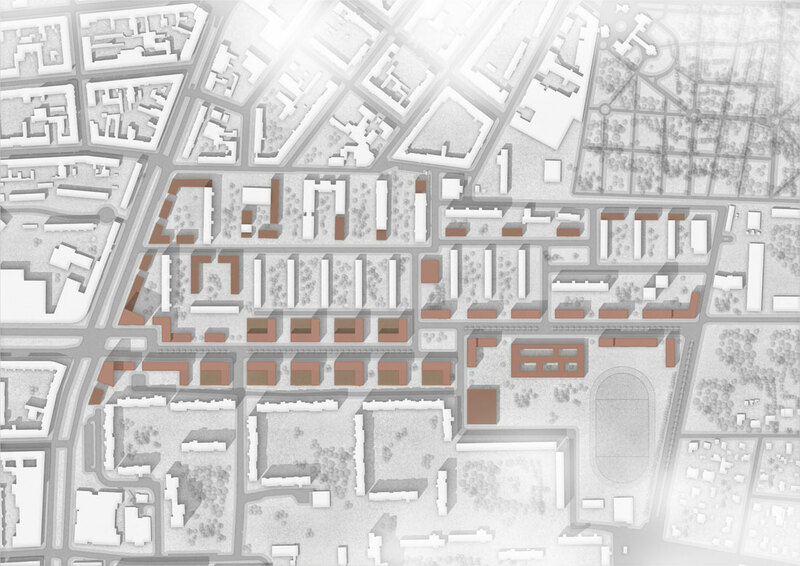 Thus, the need for new traffic routing of the Greifswalder / Michelangelo Street intersection created the opportunity for an entry point into the new district. Similarly, the longest section of Michelangelo Street maintains its original location, but triggers the formulation of offsetting the road and thus forming a plaza as the center of the new district. 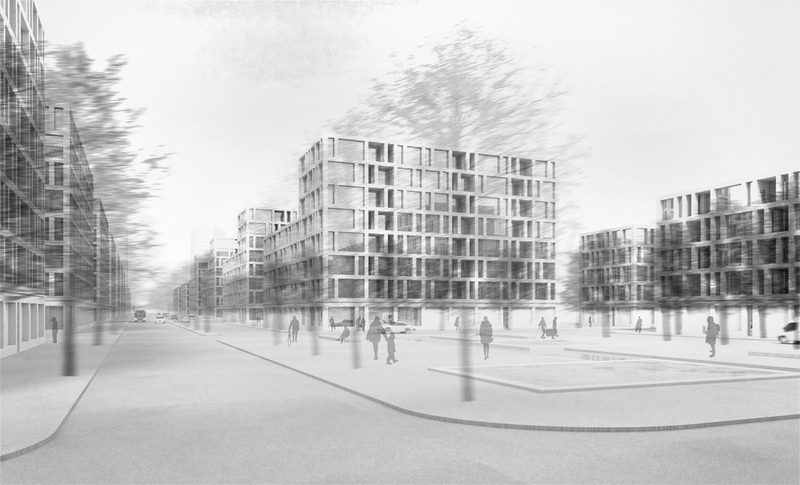 In the development of the new residential district, which is to be tailored to the needs of new target groups such as young families, a school, a day-care center and a parking garage will be built next to apartments. A uniform design principle, which underlies all the building volumes, creates a robust and recognizable appearance. The composition of the volumes, where longer sides are arranged opposite narrow sides, allows for optimal daylight orientation of all apartments and the semi-public terraces above the building’s base. Additionally, The height gradation of the building’s wings mediate between the various heights of existing buildings to the north and south.